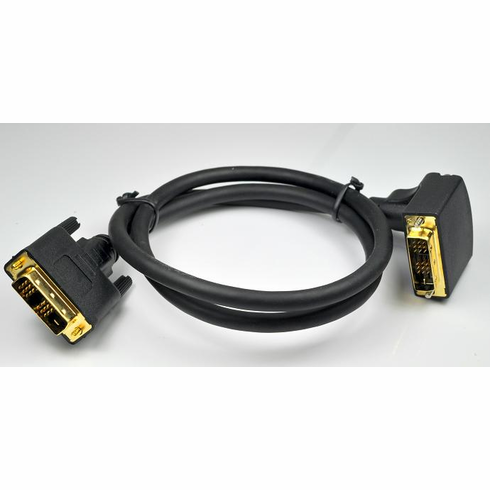 This 35" DVI-D Single Link Cable has a 90 Degree Angle on one side, and is straight on the other. This could be considered a Right Angle by some, and a Left Angle by others, depending on the orientation of the DVI Port on the equipment. So ended up having to return this because the right angle was the wrong way. My computer sits on the ground so the right angle would have needed to be the other way because of the orientation of the plug. The cable was too short to reach from the floor computer to the desk with it point the opposite direction of the monitor or the computer.